The time has arrived when phones are as smart as computers so it seemed like a good time for us to provide our customers with a sidekick worthy of the beastmaker. 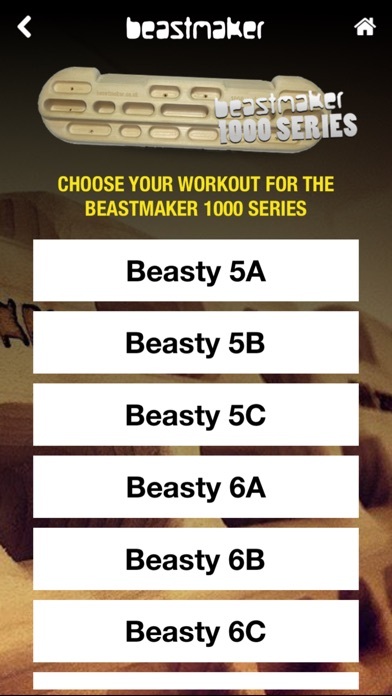 We’ve attempted to lay out a bunch of benchmark workouts in this app which link together in a tiered structure of difficulty. The Idea being it makes the board easier to use and more fun. 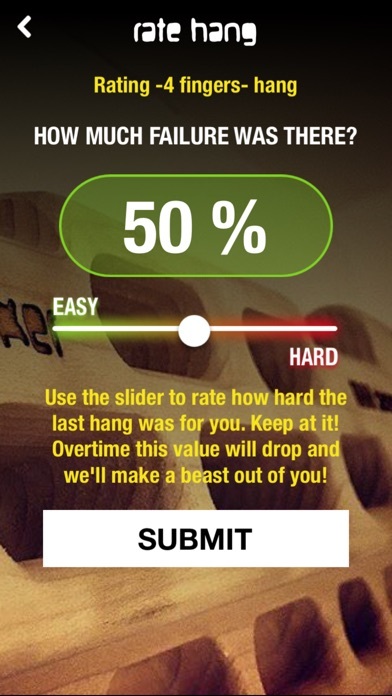 You can accurately time hangs on holds and record your progress. Remember to always vary your arm lock offs whilst fingerboarding and stop immediately if any twinges occur. 6 pre programmed workouts aiming to train a grip type. Custom Timer (free hang): This is for people who have their own workout and who know what they’re doing on the board but who still stand to benefit from the serene sound of a piano note letting them know when to grab and when to let go. 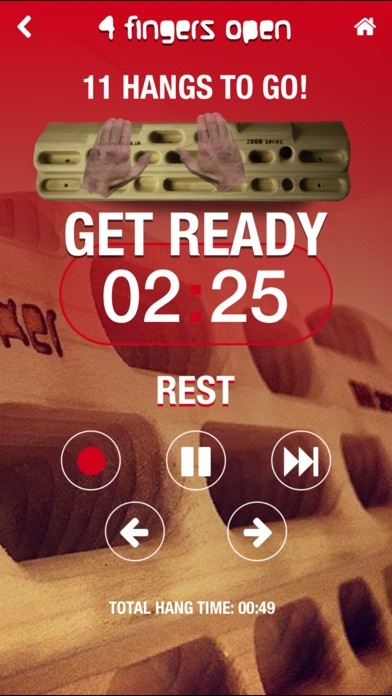 It also has the workout function built in allowing you to track your progress no matter what fingerboard your using. 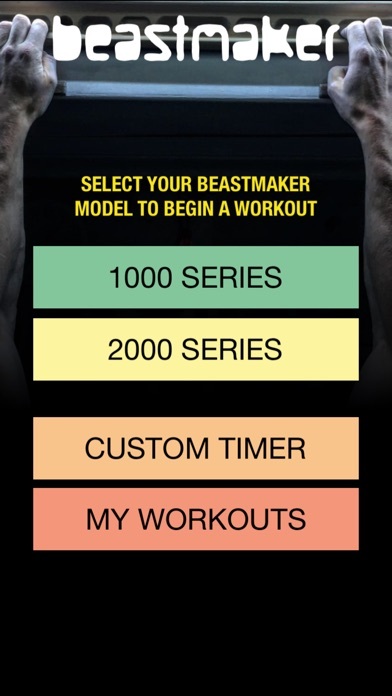 This is a database built into the app which records your selected workouts by order of date. You need to tap on the "record button" and rate your hang to have it recorded. The idea being that you can see whether you are progressing in the exercises and which grips you are strong and weak on. This function should give you a good sense of time when it comes to training and that steady progress is being made between fingerboarding cycles, even if you only do 4 week cycles of it once a year! There is some general fingerboarding advice in the workouts section with do’s and don’ts of fingerboarding. This is the main function of the app. We’ve tried hard to make it as easy for you as possible whilst dangling. The fingerboard is pictured and depending on the hang the hands move around to tell you the grip type and where to grab. The timer goes green when you should be hanging and red when you should be resting. The timer counts down whilst you hang and there is a piano chime to let you know when to grab and when to let go. There are warning beeps when the set of hangs is nearing its end. This is incase the screen isn’t in clear view whilst you are hanging. If you get distracted elsewhere then you can quickly hit pause what your doing and resume it later. If for some reason you weren’t ready you can restart the exercise at any time. After the exercise is finished. In your rest time a number of things happen. the timer gradually counts down your rest, upon this ending you will then immediately start the next exercise without having to press the screen. There are warning beeps when the rest period is nearing its end. 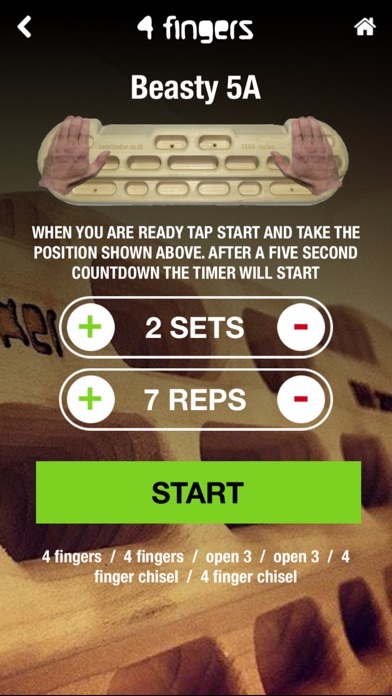 In the rest you can tap the record workout button and you’ll be faced with a slider to record how much you failed (we are a British company after all) whilst you’re doing this the rest timer will continue as per normal. You don’t have to record your workouts as you train but it is there incase you’ve got nothing better to do in the 2 and a half minutes. Be aware that at the moment if you leave the app to browse your phone check twitter or play on angry birds during your rest etc then it will stop the timer. so you will have to remain on the app page and focus on your training whilst you train unfortunately. But you can pause the workout if you need to leave the app for whatever reason. We have redesigned the app to make it more pleasant and even easier to use for you. We have also fixed a few bugs and made stability improvements.